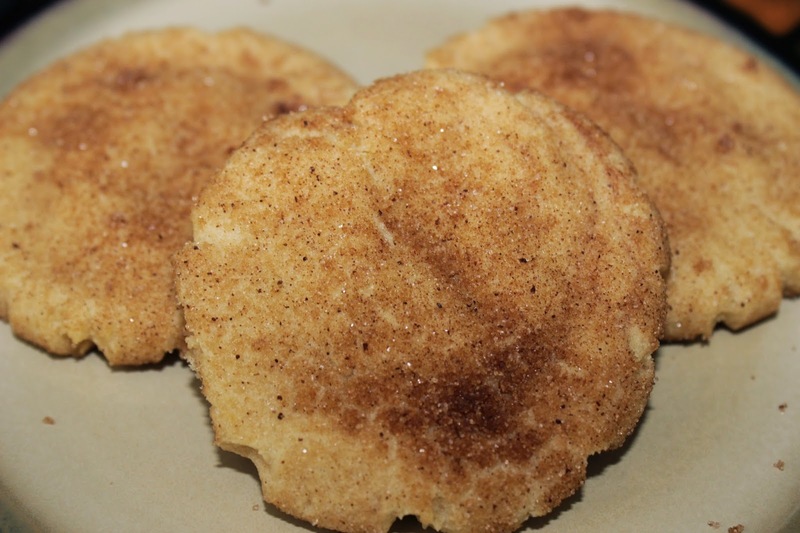 Today’s project was Snickerdoodle Sugar Cookies. 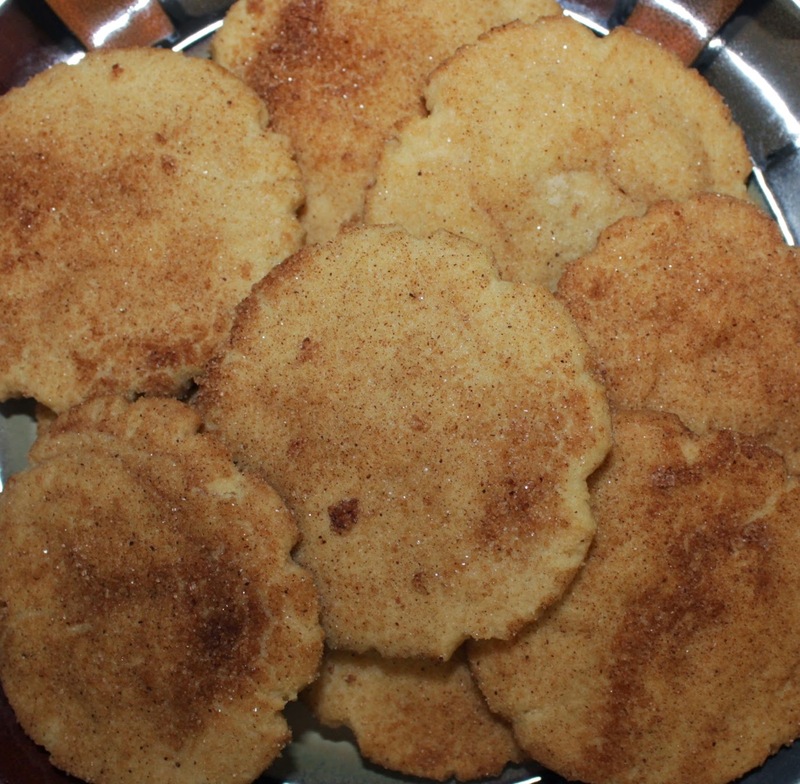 I followed this recipe by Mommy’s Sweet Confessions, which in turn was adapted from this Better Homes and Gardens Cookbook. 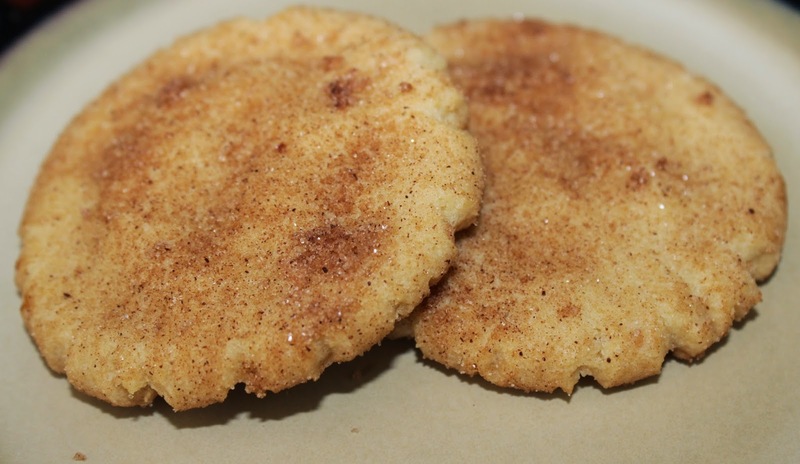 This follows a normal sugar cookie recipe pretty closely, but also uses brown sugar, cream of tartar, and is rolled in sugar and cinnamon. 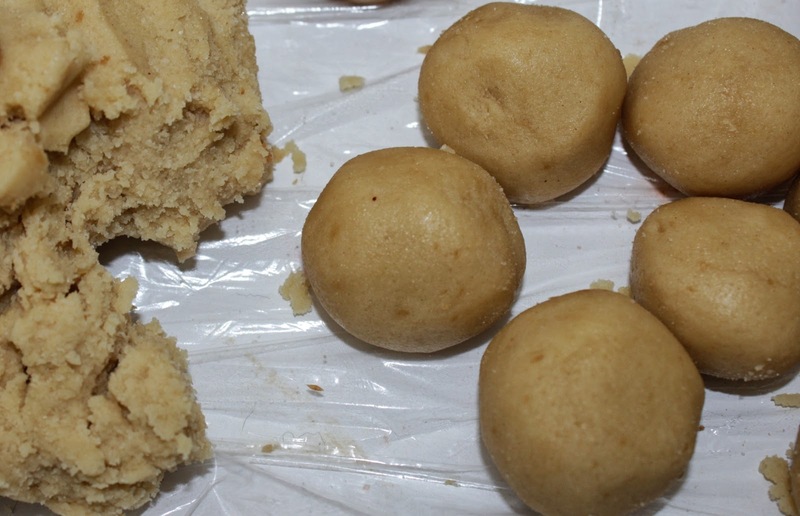 Since I’ve covered making sugar cookies before I didn’t take pictures throughout the entire process this time, but the full recipe can be found at the end! 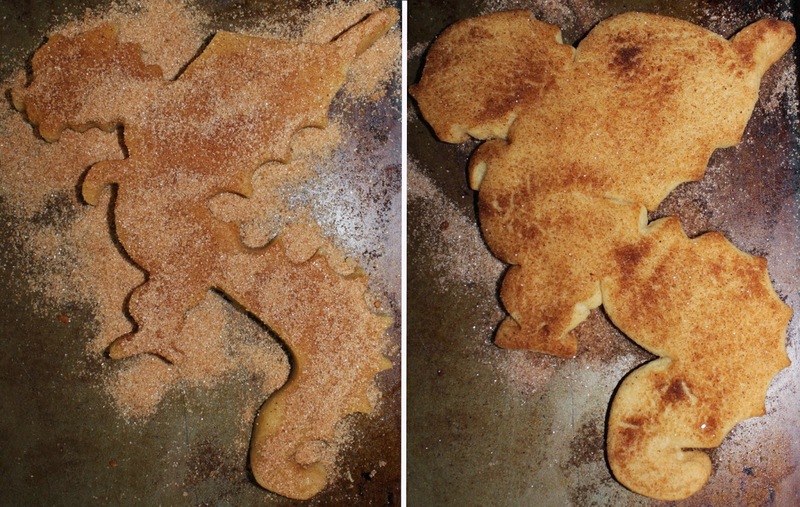 My father-in-law’s birthday was today so I used my new dragon cookie cutter to make him his own special cookie. The cutter was a lot bigger that I thought it would be… almost 1/2 the length of my baking pan! They’re very tasty and we made some maple flavored Whipped Cream Frosting to enjoy with them! For maple we used about 1 tbsp plus 1 tsp of 100% pure maple syrup for the flavoring, which is quite delicious. Tomorrow’s project is a Spike Bow! 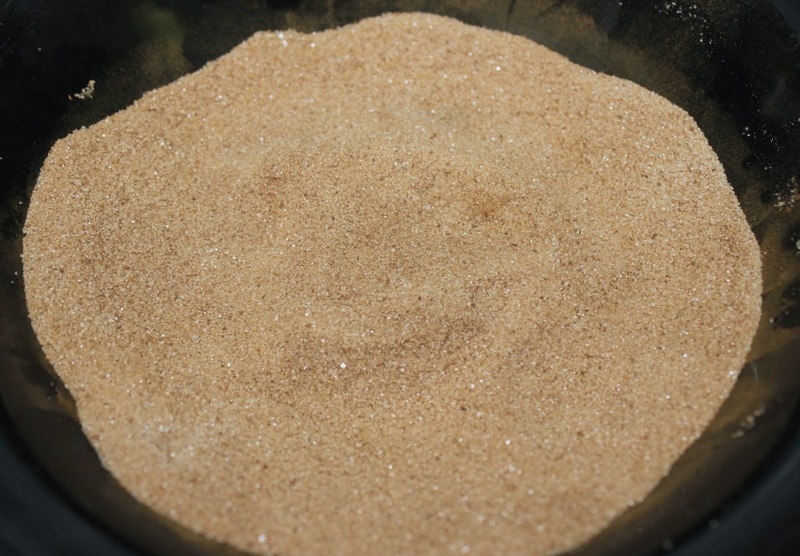 Add the 1 cup granulated sugar, brown sugar, baking soda and cream of tartar. Beat until combined, scraping down sides occasionally. Place on cookie sheet spaced about 1″ apart. Partially flatten the balls.